This is the online log search for VK6CI operations. 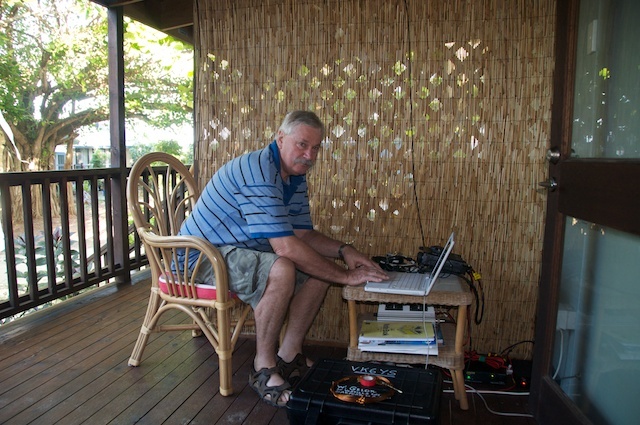 This story is more like a travel or holiday doco than a dxpedition, and that is because, for the first time my wife, Gaye, agreed to come with me but on the promise that the radio side of things would be secondary and that I would only play radio when there was nothing we could do together. On that basis, I decided that the operation would be only PSK31. 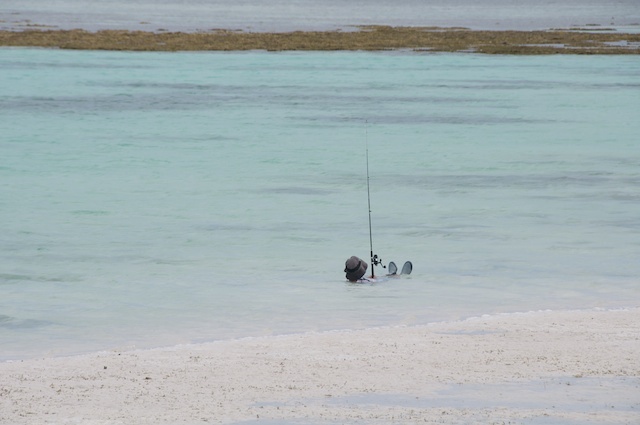 I could not find when anyone else had done this on Cocos, so I thought it would be the least invasive for my wife, and mean I did not need any thing other than simple antenna and transceiver. I worked on the basis that 40 odd watts should be ample, and it turned out it was. 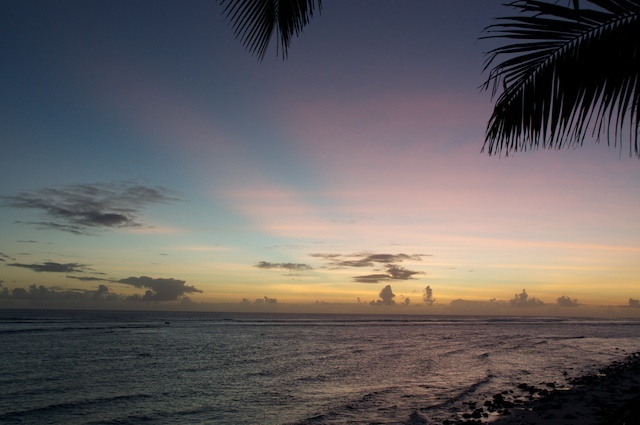 I worked around 425 stations over the week, and while enjoying the radio activity, I actually really enjoyed spending time lazing on this tropical paradise with my wife more than anything else. No mobile phones, limited internet, no traffic, no hustle....terrible, but someone has to do it! 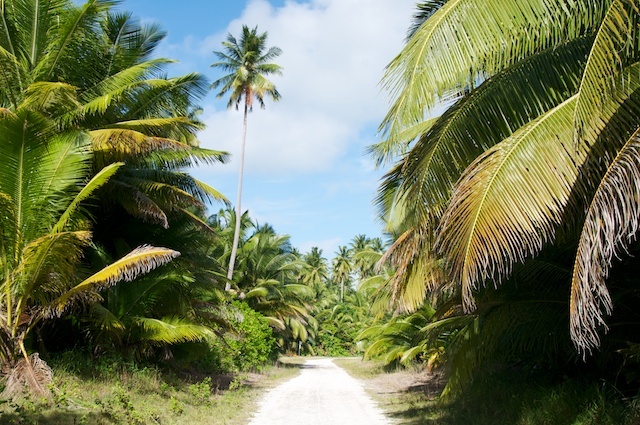 The flight from Perth to Cocos goes via Christmas Island, and takes about 4 1/2 hours. There are quite some restrictions on luggage unless you are in a position to re-mortgage the house to pay the excess charges, so we worked on a case each with clothes and other personal stuff in one and radio gear in the other, plus the antenna, keeping us within the 21Kg limit per person. It is an interesting exercise to go through in deciding what you really need to take with you for a week away together on a tropical island. 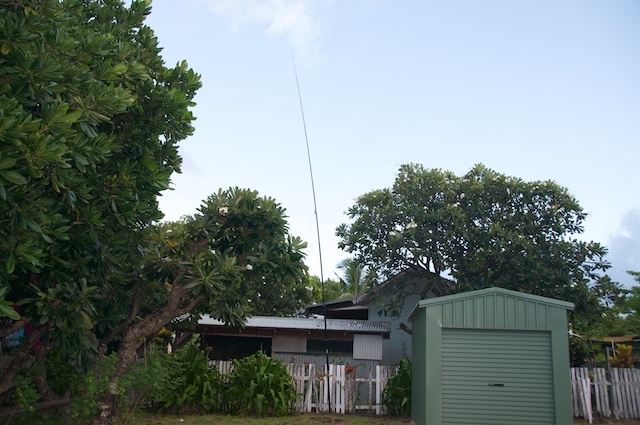 Equipment was an IC7000, 23 amp PSU, quarter wave Ground Plane wire antennas using the Spiderbeam 12 metre pole, and coax (1x20 metres, and 1x10metres because I had no idea where I would be able to put the antenna up. Computer was my trusty old Macbook and a microHam USBII interface, and running MacLoggerDx with CocoaModem. What I was not able to get going was a Tx/Rx offset for listening up etc when the calls were coming thick and fast. The 12 metre Spiderbeam pole operating as 1/4 wave GP, tied to the fence, which as it turned out was so rotten it came apart and I had to make many apologies for my destructive hobby !! There are worse places to be! Or so I have heard! 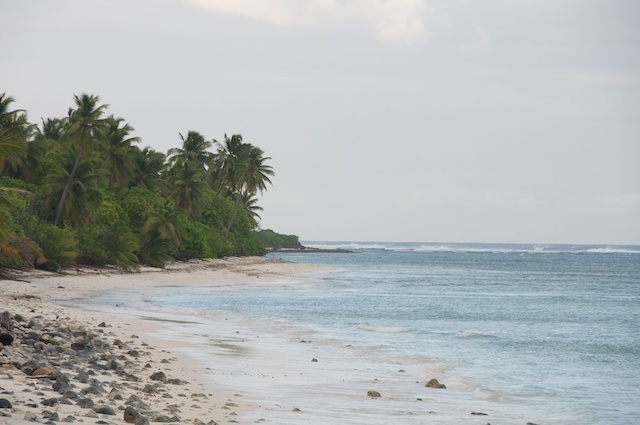 A leisurely stroll along the beach early in the morning feeling like Robinson Crusoe on his deserted island is just a wonderful experience. Sitting on the seawall with Gaye, my wife, watching the sun go down over the Indian ocean, with a G&T in hand, chatting to the locals....it doesnt get much better than that. The road out to the surf beach. Notice the odd coconut or two! 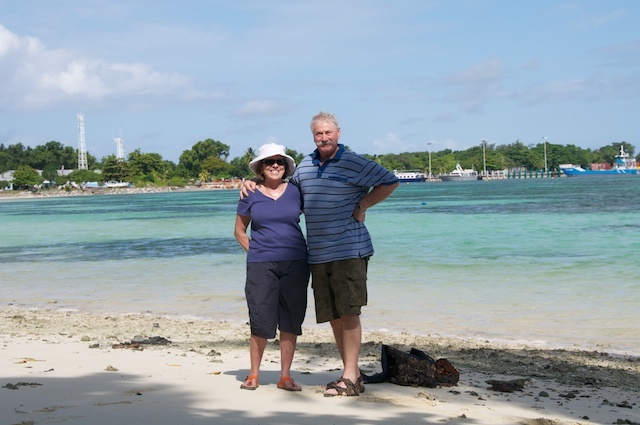 Gaye and Me, Wally VK6YS, on a beach on Home island with the township and wharf behind us. I took a photo of this fellow doing some relaxed fishing on Home Island just to give a flavour of how tough life can be!